I resisted opening a corporate credit card for years in fear of what it would mean for my credit score. I also preferred to charge things on my personal credit card and earn cash back on the spending. However this Spring I paid for two conferences and the only guaranteed way to get reimbursed was to put them on a corporate card. So under the threat of non-payment from our accounting Gestapo I filled in my social security number and opened an American Express corporate card. Today I’ll share a few things I’ve learned since I received the card in the mail and started charging expenses on it. As I mentioned my card is from American Express so the details on your corporate card might vary but the concepts are the same. One thing to note, my card is an individual payment card where I’m responsible for paying all the bills and submitting receipts for reimbursement. If your bill is paid directly by your company then these probably don’t apply to you. Depending on when you charge something on your card and how long it takes your accounting department to approve and reimburse your expenses, you could get stuck paying out of pocket. In my case, my statement closed a few days after I charged a conference to my card and it takes about 3 weeks to get reimbursed for the expense. I’m signed up for credit card alerts so when I got an email saying, “The payment date for your Corporate Card account is approaching” just after submitting my receipts, I called customer service to see what options I had for handling the discrepancy. It turns out the card has a “pay by” date suggested by the credit card company but the date is 2 weeks before payment is actually due. In reality, payments are are due 30 days from the close of the previous statement. On top of that they give you a 10 day grace period because they know corporate clients have to wait on approval processes that are sometimes out of their control. Once your grace period has expired they charge a $39 late fee to the card. If 2 more weeks pass and you haven’t made payment then there’s another fee which is an interest charge on your existing balance. The customer service lady stressed that if I’m going to be late with a payment to call them so they can note the account. She didn’t come out and say it but I got the impression that if you’re going to pay late and let them know ahead of time they can waive the fee. Obviously if you’re late every month they won’t keep dropping the fee but they can for isolated incidents. Submit your expenses right away. Always call the number on the back of your card to find out when payments are actually due and to notify them if you’re going to be late. My primary concern when I called in about late payments on the corporate card was that I didn’t want to impact my credit score. The customer service rep explained to me that the business backing the corporate credit card is taking most of the risk. I still had to enter my Social Security number when I applied for the card so they did check my credit. She described the application process as having the same impact on my credit history as if I were applying for a $25 credit at a jewelry store. So the impact of opening the card is pretty low but it can drag down your credit score if you don’t make payments. The good news is American Express doesn’t report late payments to the credit agencies for corporate cards as quickly as they do for consumer cards. Although they won’t report you to Experian or Equifax for 30–60 days late, if your card payment is 6 months past due American Express will send it over to the credit bureaus as a late payment. Of course you’ll probably get someone from corporate accounting calling you sooner than 6 months to see why you haven’t paid. Sign up for alerts on your corporate card so you don’t miss payments and risk eventually having it reported to the credit bureaus. One of the benefits of traveling for business is that you can rack up frequent flyer miles or whatever kind of credit card rewards you prefer. If you’re using your corporate card earning rewards can be more difficult, but it might still be possible. It depends on the kind of card you’re using and your employers agreement with the credit card company but with American Express you can earn Membership Rewards for purchases on your corporate card (1 point for each dollar spent). There is a catch, you have to pay an annual fee to be able to earn rewards on your corporate card. I know for consumer cards many companies will waive the annual fee for the first year so I asked the rep if that was the case for this fee as well. After she told me no, I called in again to talk with someone else to see if I could get a different answer but they seemed pretty inflexible on waiving the fee. After you pay the fee your corporate card is linked to your personal card and the personal becomes your primary for rewards. So any rewards you earn from purchases made for work on the card will be available for your consumer credit card. The upside of this is that if you leave the company you won’t lose the rewards you’ve earned. Obviously, the downside is the annual fee. For my corporate AmEx Green Card the fee is $75, – you’d have to put a lot of expenses on your card each year to make that worthwhile. Other credit card companies may handle this differently so call the customer service number on the back of your corporate card and ask about your options for earning rewards. If you spend a lot on your corporate card it might be worthwhile to set it up so you can earn rewards. 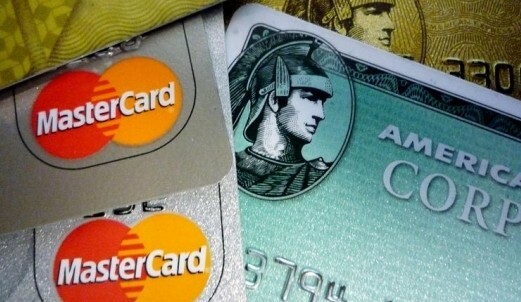 One last word of warning, make sure big purchases are approved before putting them on your card. It seems pretty obvious but I know of several cases where people charged hundreds of dollars for courses or conferences without pre-approval and ended up eating the cost. You don’t want to have to go home and explain to your spouse or your budget how you suddenly owe an extra $600 at the end of the month. For those of you with corporate cards, what else should I have mentioned? I have a credit score of approx 600. Will I be approved for an Amex Corporate card? It is the card for which I pay Amex the monthly expense and I get reimbursed. Hey Ben, another catch about Corp card rewards (particularly Amex) is that you have to pay your bill on time in order to earn the points. So if you delay payment while you wait to get reimbursed, you won’t earn any points, which really stinks! Ben, great post. I’ve had corporate credit cards for years and never thought about impact to my credit score. I’ve always been trustworthy that my company will get me the money timely as well. Good to know about the grace period. Excellent tip on the points. While the annual fee doesn’t sound so great, could be worth it given my spend for business travel.